Salome Balli, 93 passed away Thursday, February 7, 2019. She was born on October 26, 1925 in San Benito to Manuel & Refugia Ramirez. She was a member of St. Benedict’s Catholic Church. Her husband Hernan Balli and her sister Ventura Perez precede her in death. 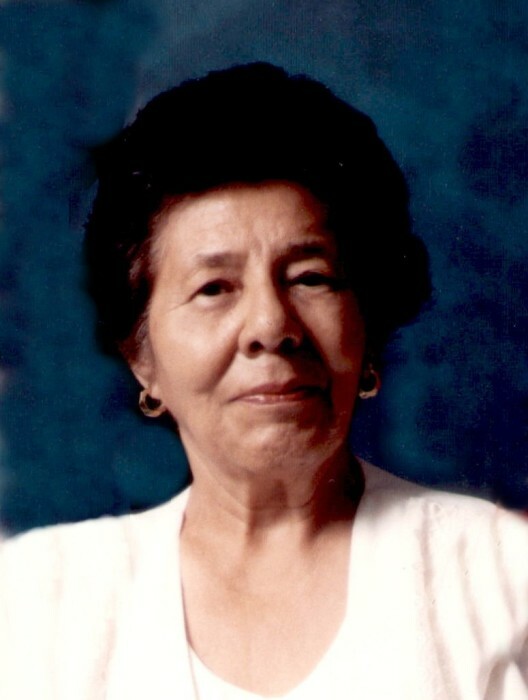 She is survived by her son Ernesto (Paula) Balli; grandchildren Daniel Balli, Ernesto Balli, Alex Balli and Vanessa Balli; great grandchildren Ariani Balli, Ilyana Balli, Victoria Balli, Saul Balli and Miguel Rodriguez. Visitation will be held on Sunday, February 10, 2019 from 2:00 p.m. to 9:00 p.m. with the Recitation of the Holy Rosary at 7:00 p.m. Funeral Service will be held at 12:30 p.m., Monday, February 11th at St. Benedict’s Catholic Church in San Benito. Burial will follow at Mont Meta Memorial Park. Honor to serve as pallbearers will be Vanessa Balli, Alex Balli, Ernesto Balli, Danny Balli, Felipe Garcia and Emilio Perez. Honorary pallbearer will be her son Ernesto Balli.